Maa’va thandiya shaava.Mothers, providers of cool shade. Baldev Singh, a Kuala Lumpur-based entrepreneur and an accomplished kirtani, posted on his Facebook today. It’s Mother’s Day. 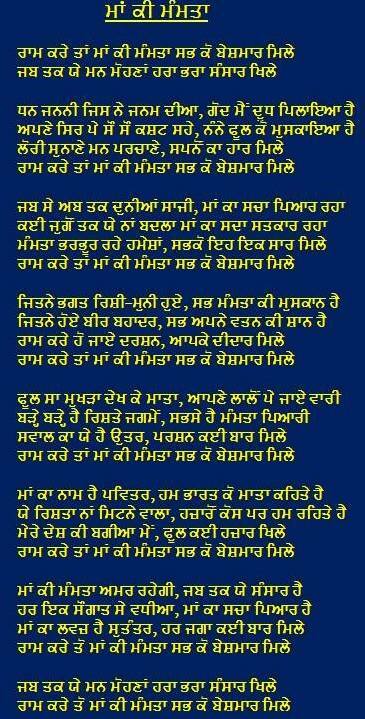 In the comment space, Gurcharan Singh provided what seems to an instant translation of the poem. We share the poem and the translation. Happy Mother’s day from the team at Asia Samachar. Previous articleKultar’s Mime – Why am I helping to organise this performance?